When researching Group Health Insurance, Las Vegas employers can easily be overwhelmed with the complexity of choosing a quality plan for their employees, meeting changing government mandates and still keeping premium rates affordable. Employee Benefit Solutions, Inc. is here to guide employers through the intricate maze of insurance carriers and benefit options, bringing clarity to the decision making process and then continuing to provide personalized service as a part of their employee benefits team. 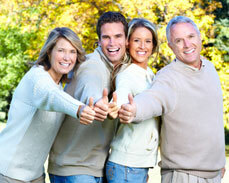 We can create a cost effective Group Health Insurance benefit package tailored to meet your specific needs. At EBS, Inc., we feel it is important that your employees see us as a resource and advocate when it comes to understanding their Group Health Insurance. Las Vegas businesses appreciate the value provided through our initial employee benefit meetings, where we answer questions from employees regarding their benefit packages. Throughout the year, we remain available to answer employee questions regarding their benefits and claims. It is the goal of EBS, Inc. to be seen as an integral part of your human resource management team, as we assist them in processing new hire applications, changes to coverage and terminations of coverage. As each annual renewal date approaches, you can count on EBS, Inc. to thoroughly re-assess your company’s group health insurance needs and approach each negotiation for renewal with the same aggressive approach used to win your commitment in the first place. It is our goal to deliver sustainable solutions and to build long-term relationships with each of our clients. The employee benefit packages offered by EBS, Inc. are not limited to Group Health Insurance. Las Vegas employers have access to a full range of benefit services to compliment their group health package, including dental, vision, life, disability and a variety of other optional benefit offerings which provide an enticing benefit package for attracting key employees. Using a full service employee benefit broker like EBS, Inc. guarantees simplified communication and payment structures for your entire benefit package, as well as the best prices for add-on benefit features. If you’re looking for Group Health Insurance in Las Vegas, Employee Benefit Solutions, Inc. will provide you with the timely, personalized service you deserve and the competitive rates that are vital to a successful business operation. Give us a call!